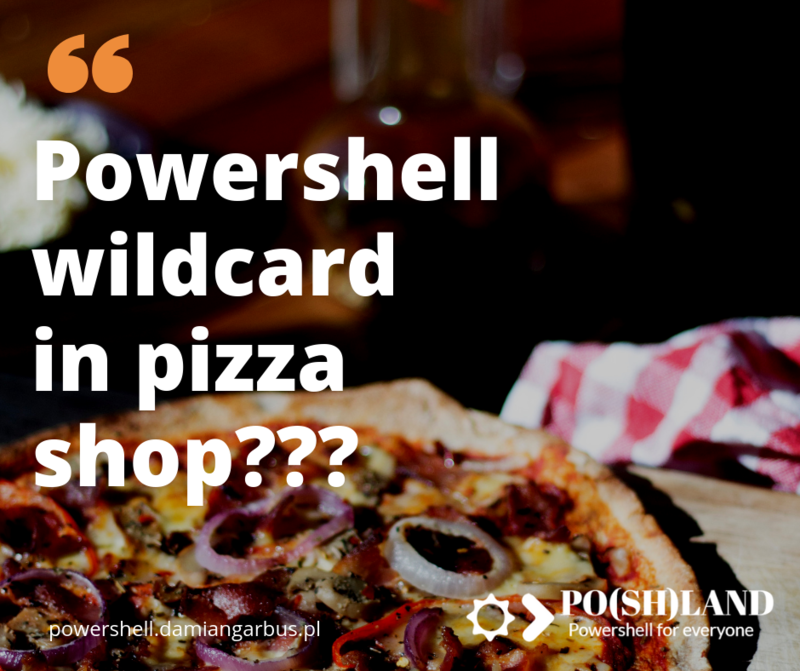 What is it the Powershell wildcard? The wildcard lets you compare twice object even you don’t know a part or entire of values. 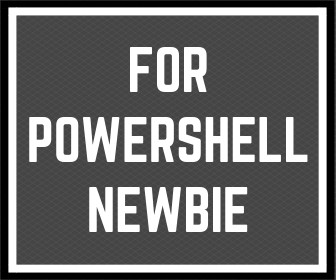 You must know about it if you want to write Powershell scripts. I like showing on my blog real-life examples. Readers write to me that my examples help to understand better Powershell. I believe that it will help you too. The * wildcard will match zero or more characters. When you read the menu in the pizza shop, you would like to find your favorite taste. Sometimes you will find more than pizza, eg. : spaghetti. To search only pizza on the menu, you can replace all other characters than “pizza” by ” * “. The ? wildcard will match a single character. Sometimes you may want to find very similar values in the menu but differ only single characters. In this scenario, you can use ” ? “. How you can see, this is very important to know topics about variable types, comparison operators and Powershell wildcards. It will help you dynamically compare the value in your Powershell script. In the end, I have one question for you. 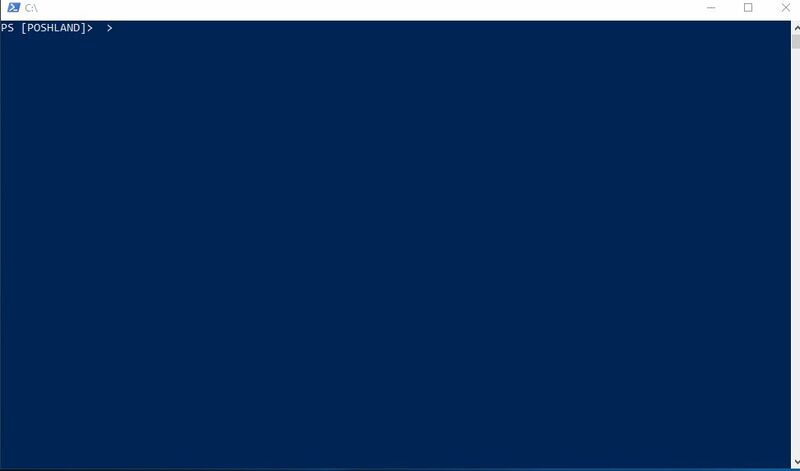 What kind of task did you automated recently using Powershell? Please write below in comment space. Get Access to Poshland Resources for FREE!!! Hi, My name is Damian. 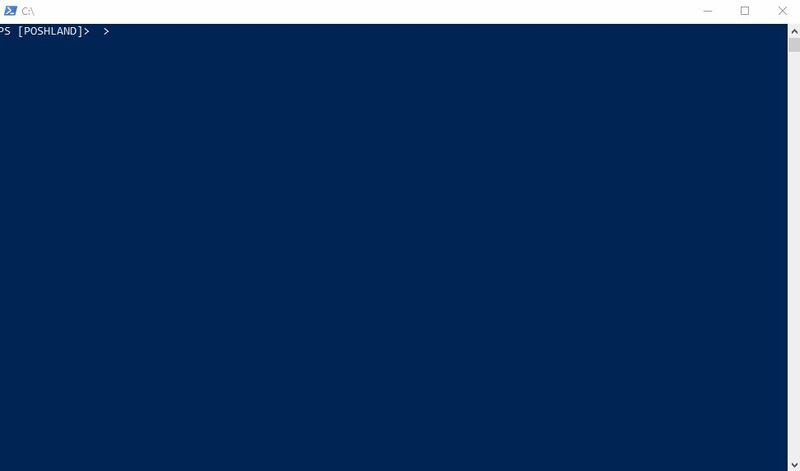 I'm Powershell geek. Also, I love to improve my productivity and yourself development. I connected Powershell and my productivity tricks and built this blog. 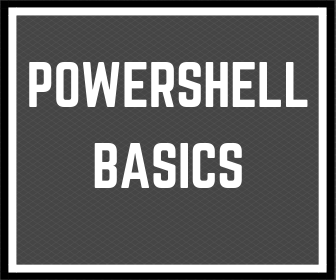 You can find here how to learn Powershell and use this to improve your productivity. Enjoy. « Previous Post Learn Powershell Comparison Operators Next Post » Why is it so hard for automate tasks? 3 replies to "Powershell wildcard in pizza shop???" Super pomysł na obrazowe uczenie programowania, czegoś takiego szukałem! Podzielę się swoją konstruktywną krytyką: koniecznie musisz poprawić angielski bo często zła gramatyka nie pozwala za pierwszym razem zrozumieć o co chodziło autorowi. Dziękuję 🙂 odezwę się via mail.